So... I gotta go clear back to July... long about the middle of the month... We started with a roll down to Mark and Bobbie's for the wildflower celebration... broke the truck... had to replace the radiator when we got back... as I prepared to leave on the Raider for my Alaskan Highway run. Ran from Fort Collins to Denali... 9,000 miles give or take in 28 days... got back from there... did some more work on the truck to prepare for the final "Leaving" and pulled out on the 24th of September... for who the hell knows where! Now, here we sit in the Kaibab on the 27th of November, having rolled on two wheels or 8... something over 16,000 miles since July. Now... that ain't really a "goin' slow" sort of travelin'... is it? :o) I guess I had a terrible Itch built up that needed scratchin'. So... what has all that Gypsy runnin' learnt me? Well... one is that though I don't regret movin' along... reality is, we can't sustain that sort of mileage, and so, the past few weeks we've been slowin' down considerable. Moving fewer miles 'tween camps... and stayin' put a mite longer. Neither our wants or our wallet can keep that earlier sort of movin' goin'. From the diesel to the tires... rollin' that much is gonna cost. I know for some, it ain't no big deal... just cut the check... but not so for us... Those blown tires, broken brakes, and even the generator addition... put a kink in the budget... so... we'll be slowin' up considerable... till Christmas... and then after. Like I said, I don't regret the miles... not even a little... just... can't keep that rate goin'... and don't really want to. Time to set some really long camps... and roll the Raider more! #2 in my Lessons learned, is the rig itself. Though some have voiced the question to us "How could we even live in a rig the size we have"... we've discovered... having had the seeds of such thoughts sown by Mark and Bobbie! :o) that we'd really like an RV that's considerably smaller than our 30' Fiver. Now... I don't know that, that is gonna happen any time in the real close up future... again, with a banjo tight budget, we can't just run out and get it done... but it's something real clear in our thinking... for if and when the opportunity presents. 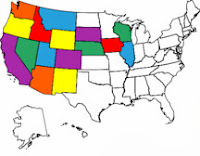 #3 on the list is maybe the camps we've used... We're full up Boondocked now, here on the Kaibab National Forest... but on through Utah, Washington, Oregon and California... we mostly used National Forest Camps. #5... and... the Generator is a BIG one. Trying to go without one was a mistake. The solar panels we have, being only part of the original number planned are just insufficient to keep up. Adding that Champion Generator was a GOOD, Stress relieving choice! Thanks for sharing your thoughts and observations about your travels so far. I would like to do what you are doing and your notes will help me to make wiser decisions if and when I do.